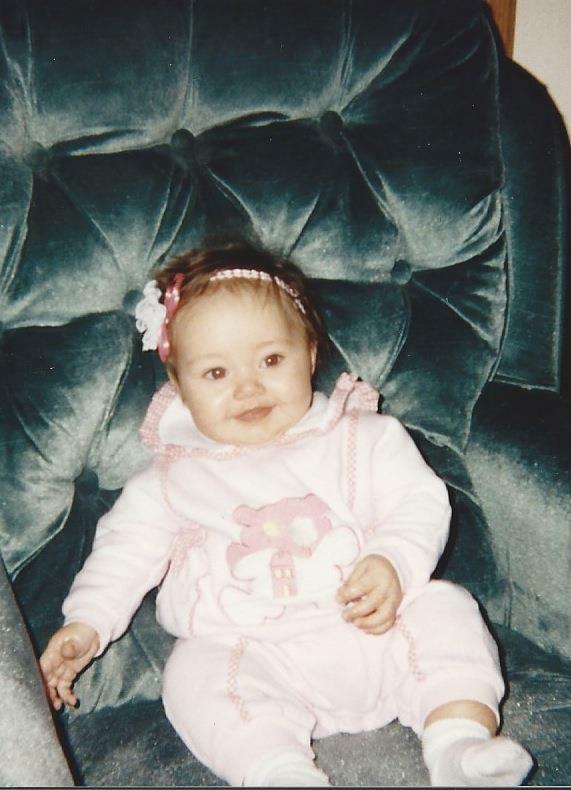 Happy 17th Birthday to our sweet Kassidy! 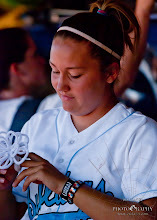 Last Wednesday, was Kassidy's 17th birthday. Oh what a great day she had! The day started off with her feeling pretty good that morning, that in itself is always fabulous. In her first period at school, she received flowers and a singing balloon from one of her coaches and teachers. We just love her coaches, they are so good to her! Since she leaves 5 minutes early from each class, to prevent from tangling her tubes with other students going from class to class; she was alone in the hallways carrying her backpack, binders, flowers and singing balloon. She had so much in her arms that the balloon kept hitting her head and letting everyone know that someone outside had a birthday. Hahahahaaha She loved it! The singing balloon & flowers! Also at first lunch, coaches and a couple of the softball girls had a surprise party for her where they sang happy birthday, had cake, donuts and milk. Talk about sugar overload! But it was her birthday, but otherwise her sugar intake is quite controlled! We let is slide. That evening we took her and two of her good friends to her favorite place, Cheesecake Factory. We had a great night spending time with the girls and just thanking God what a blessing it is to have Kass with us each day. We never knew how our little girl would impact our lives. I know that we sure appreciate things so much more now. Special memories mean the world to us now. It was so great to see her open the little knick knacks we got her and especially the big surprise we had in store for her for her special day; tickets to the Ellen Show. Do you think she was excited to get tickets to Ellen? This weekend ended being busy for her as well. Her friend Tori came home from NAU, so Kass got to spend the night on Friday at her house and Tori came over Saturday to our house, of course with Ryan and I stressing a bit because she was away from us for a Friday night. We prepared her medication before she left, but she still would have to hook the new bags and program the pump herself. She did amazing and I think we underestimated her a bit! Sunday we also had a small bbq for friends to celebrate with those we couldn't celebrate with on Wednesday. Thank you to all those who were able to make it and share Kassidy's birthday celebration with us. We appreciate you. This week was again the dreaded MRI week. On Tuesday, Ryan actually took Kass to her appointment, he decided to take off Tuesday and Wednesday to be home to help me thru those two dreaded days. Kass had it rough on Tuesday, she ended up throwing up in the bathroom at Steinberg before she had to go in the magnet, but she made it thru her MRI and came home so we could continue her treatments. She also had a mishap in her car after coming home that day from her hyperbaric appointment, she got an urge to throw up and couldn't pull over and got it everywhere in her car. That was not so fun for Ryan and I to clean up. LOL! Today we anxiously waited to MRI results, every time the phone rang we would jump. Dr. Barbara called and gave us prelim results of the MRI and said the tumor is stable. Sigh!!! I don't think we've ever been so happy about a stable MRI. I guess July's MRI when she had 14% increase in her tumor scared us to death. I guess we have learned to love stable! She said since Kassidy has only been on full dose for 3 weeks she hopes we see better results next scan. We are hoping and praying and trusting God to guide us with the next step!!! A motorcycle poker run here in Las Vegas. 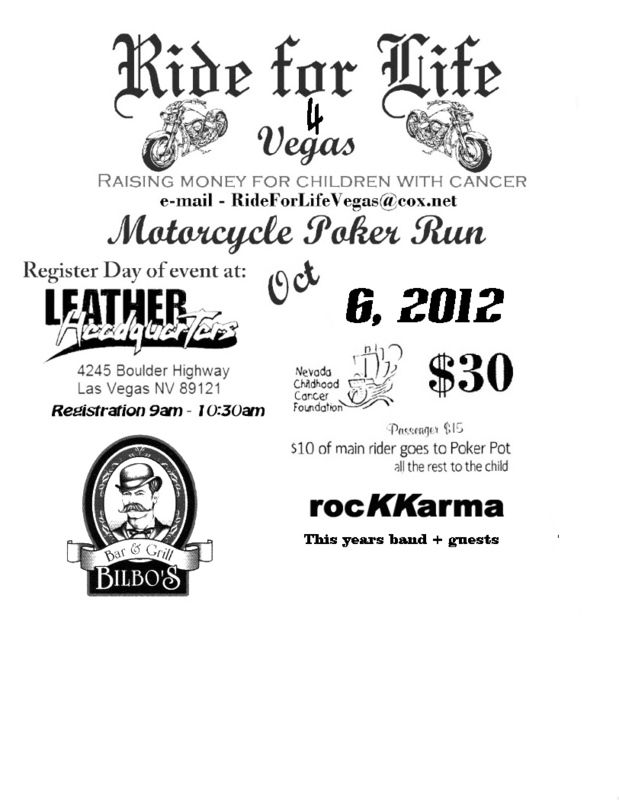 So those of you that ride, please help us spread the word to your rider friends. Also needing VOLUNTEERS!!! Please email us!!!! Our trip to Boise ended being momentous. Not only did it take us 11 long hours to drive because of all the construction, but more than halfway there, Kassidy's pump decided to break. At that moment, I called Ryan so he would overnight the new pump and new tubing we were suppose to be already using, but was reluctant to do so because of the pump's bigger size and the fact it needs to be recharged at night. Fortunately, Kass felt ok off medication for the rest of the evening. The next day the pump and tubing arrived bright and early. As I unpacked the box, I noticed that everything was in the box, except for the y-connectors. OOPS! Ryan had never learned the new pump so he didn't know that this new pump had different parts to it. He felt so bad! He found a medical supply store in Meridian (close to Boise) that would gift me a couple y-connectors to see me through the weekend. I got the y-tubing and tried for 4 hours to make it work, but the pump kept giving me the error "down occlusion"; by then I was so frustrated not only because I couldn't get the pump to work, but by then Kass was now dry heaving from throwing up so much. When I called the clinic they informed that for some reason the new pump didn't take any other kind of tubing except the kind they provided. Oh my gosh!!! It was now 3:10pm Vegas time so I called Ryan in tears telling him that I would need the y-connectors we had at home. At that same time as I spoke with him I looked at Southwest website and found that they had a flight at 4:20pm nonstop to Boise for $170.00 and it would cost $120 to send the tubing fedex. I begged to please come bring me the tubing that friday evening and come help me get Kyle settled. The amazing man he is, he packed in less than 10 minutes and arrived at the gate at 4:19pm. That evening we troubleshooted the pump together, got it to work and it only took an hour for Kass to start feeling better. Ahhhh! The next day we spent helping Kyle unpack and setting up his room. Kass saying goodbye to Kyle before we left Boise. Monday, we started going back up in dose as Dr. B ordered. All of us a bit sad that it would mean 3 bag changes a day, 3 blood draws a week, and less and less time in between treatments for Kass. But it only took us 2 and half weeks to get Kass back up to maximum dose without really any problems. So glad for that part!!! 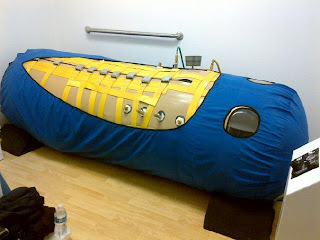 We also started hyperbaric chamber treatment for Kass. I had been researching the benefits and I can't believe more people are not using it. 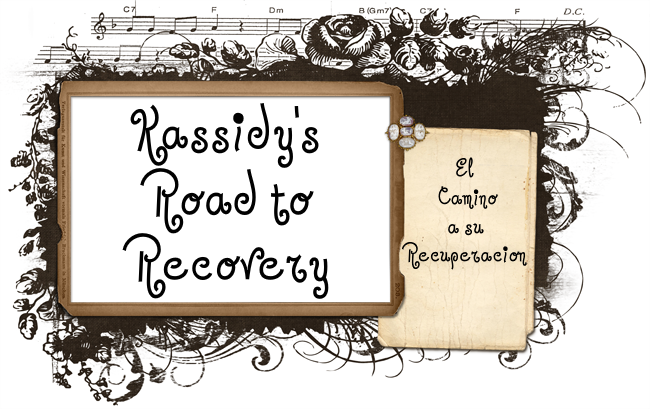 After Kassidy's brain surgery we have noticed balance issues, memory issues, and even bit of saliva issue (she's producing way more than she used to and chokes on it quite a bit and even causes her upset stomach). By reading about HBOT (hyperbaric oxygen therapy) when oxygen is pressurized it can help regenerate damaged cells or tissue, increase neural brain function, help reduce steroid dosages, helps body fight infection, and so much more. So she had her first treatment on August 9th, again she did so great in the chamber. What a trooper this kid of ours! We will be doing 30 treatment, but we have already noticed better balance, better mental clarity, more energy. 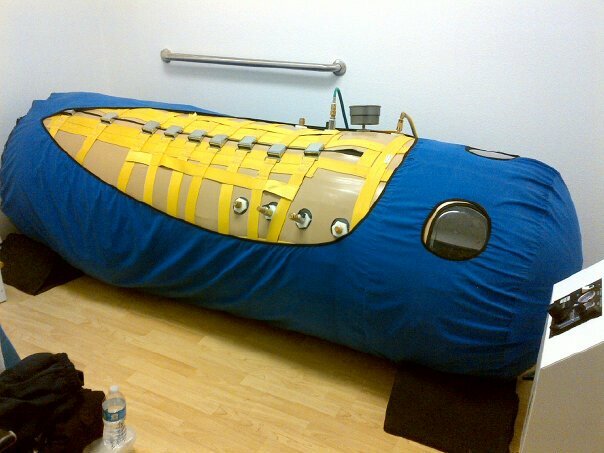 The hyperbaric chamber! I get to watch Kass from the small window. My hero! 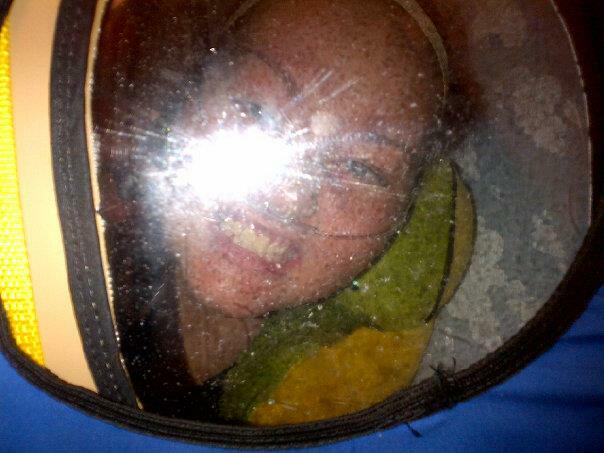 Kass a bit bored in the chamber last Friday! Also this last month we were fortunate enough to have Kassidy's story featured on two different publications here in Las Vegas. Maggie who did Kassidy's story last year about Kassidy's Army did an update on Kass in the Las Vegas, The View, newspaper. Singer Ron Pope proudly wearing Kassidy's Army gear. Thank you Ron! 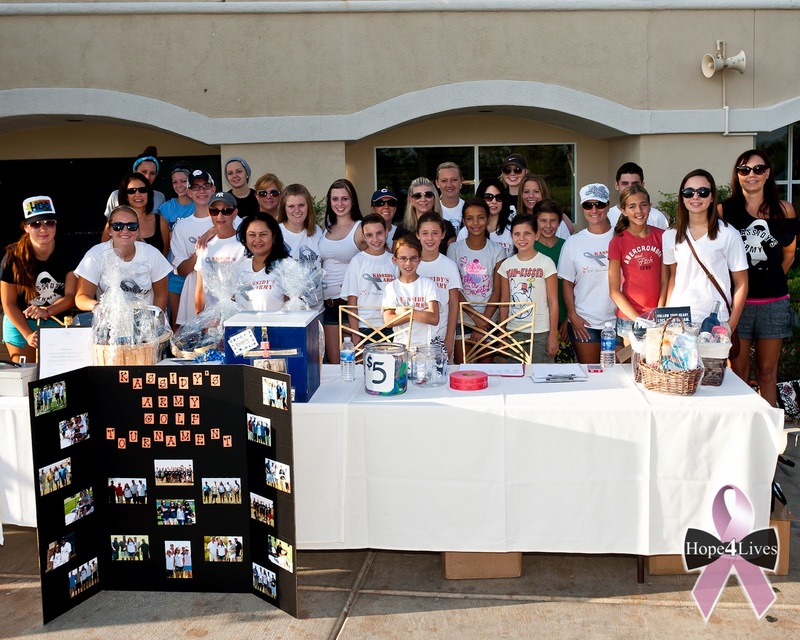 On August 20th we held Kassidy's Army 2nd Annual Golf Tournament at Canyon Gate Country Club. 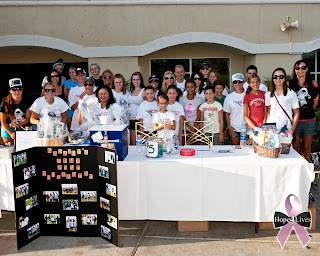 Players, volunteers and our family had a great time. We didn't have the amazing turn out we had last year, but I think it was due to that it was held on a Monday instead of a weekend day, so we hope to change that next year. We still had great feedback from the golfers and had great raffle and auction prizes. Thank you so much to those that came to play, sponsored, volunteered, and donated. We appreciate each one of you. 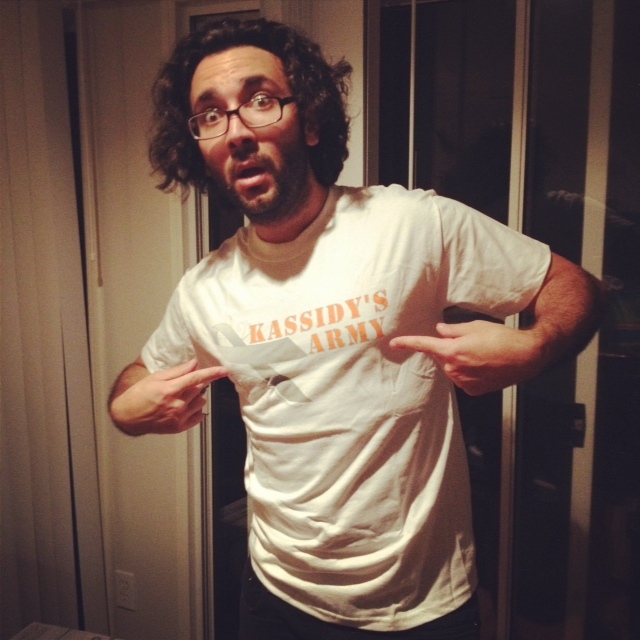 Kassidy's Army volunteers ready to help. Love you All. Kass and her friend Alex at the tournament! We took a small trip to Salt Lake City the weekend before school started, Ryan was very busy at school getting ready for the new school year so we escaped for a couple days while he worked. We stopped to see our friend Catherine which we met in Houston at the Burzynski Clinic. Catherine was battling cancer for the 3rd time when we met her, she is now cancer free thanks to Dr. B. We got to spend some time with her in Park City, we had a great time with her. After, we spend the weekend with my cousin Ari and her baby Thiago. It was wonderful to hang out with them for a couple of days. Kass and Catherine! We hung out in her balcony that evening. Out to dinner with friends in Salt Lake City. The night before Kassidy's first day of school she woke Ryan and I by calling us from her cell from the bathroom saying she needed help because she had thrown up. Since, at night she is connected to an extension chord because she has to charge her pump she can't really make it all the way to our room to wake us. She had thrown up all over the bathroom! Our poor baby! Her sleep is so interrupted that when she sleeps she is out cold, so it took her off guard. We felt for sure would miss her first day of school, but to our surprise she was up at 5am getting ready to go. She said she felt fine and was ready for the day. I think she was excited for her first day as a senior. Crazy, how time flies! We are so proud of our new senior. We visited her counselor the week before school started to make sure her schedule was set, her 504 plan updated and make sure she's on track to graduate and low and behold she still is on schedule to graduate with her advance honor diploma and medallion as long as she keep a 3.5 or higher this year as well. She was bummed to hear her gpa is now a 3.52 instead of her 4.0 she used to have, but my goodness all she's gone thru and she still has that great of gpa, we are extremely proud of her. She will be taking 4 classes this year, Government Honors, Geological Studies Honors, English 12, and Foods. Since Centennial has block schedule she only will take 2 classes per day which is great. She's only missed one day in two weeks so we hope and pray she can attend as much as she can this year so she can accomplish her goal. Our next MRI is scheduled for September 18th. Ryan and I are very nervous for this next MRI since it will tell if ANP is working. We ask to please remember us in your prayers!!!! September is Childhood Awareness Month!!!!!! Go Gold before Pink!!!!! 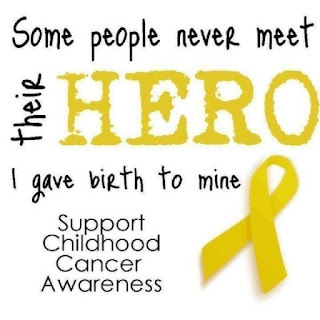 Please remember our children fighting and volunteer or participate in your local childhood cancer charities.